Impulse sealers require no warm up time and seals by applying a pulse of energy to the sealing area, follows immediately by cooling. Impulse sealers only use power when the jaw is lowered. We recommend an impulse sealer for any thermoplastic material such as polyethylene (PE) or polypropylene (PP) which requires a lower seal temperature. 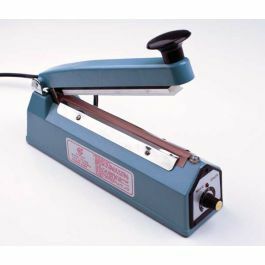 Hand sealers can seal poly material up to 10mil thickness. The FS- series are both durable and economical. The all-metal construction of our sealers provides industrial quality strength and ensures lasting durability. The body is formed out of rugged cast aluminum while the pivot is an all-steel construction. Most sealers are equipped with a plug-in electronic timer and built-in microswitch. No warm-up time is needed. The variable timer let you seal various types and thickness of plastic films. A signal light and beep indicates the heat cycle is complete and the seal is done. The sealing bar is lowered manually. 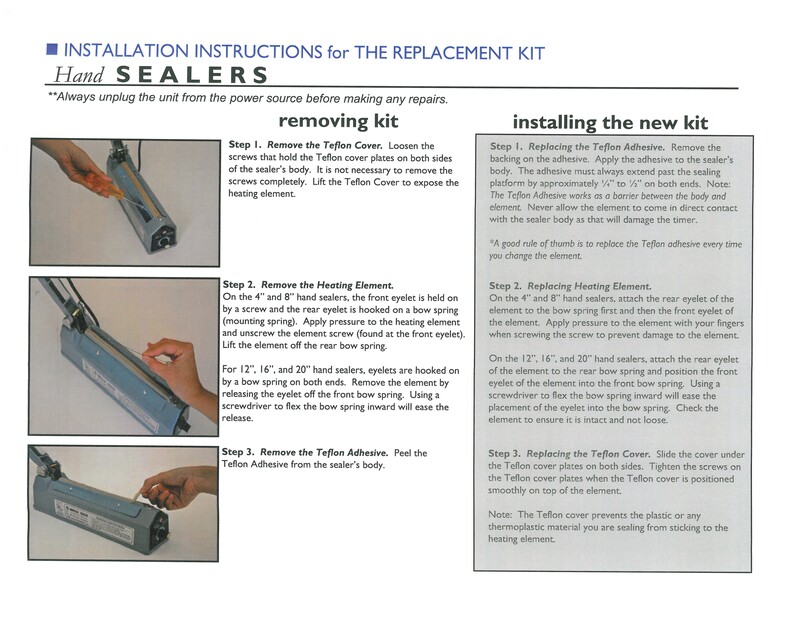 Click here for installation instructions for the replacement kit.